Looking for a stylish hat that’ll make a statement? 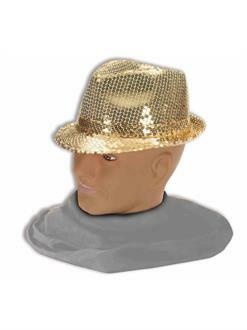 Everyone will know you’re fun and fashionable when they see you wearing the Adult Gold Fedora! This fabulous fedora is covered in glimmering gold sequins for a look that will make you shine. This incredible hat is perfect for Halloween, Mardi Gras, and New Year’s Eve celebrations.